Cheap Flights to Athens, Greece. Return Flights. Proastiakos Stathmos Aerodromiou which is at Spata-Artemida is the nearest train station to Athens airport. 89 airlines operate to Athens. They include Jet Airways, Jetairfly, Air Baltic, FlexFlight, Jat Airways, Air France, TAROM. 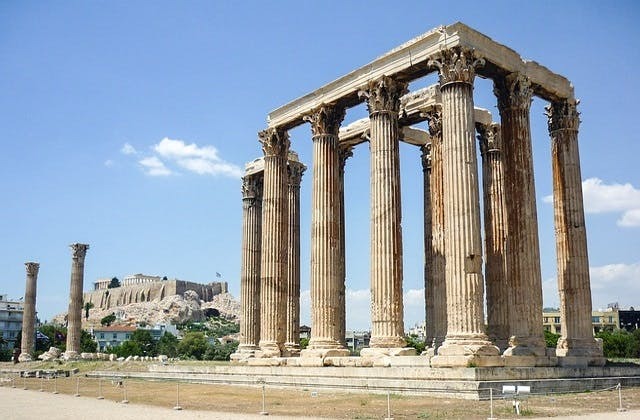 The cheapest flight to Athens is $1,085 departing from Adelaide. The Coordinated Universal Time adjustment for Athens is 7200.